Last week Google added “Paid Android Market” access to 99 countries excluding major tech markets in the Middle East such as Saudi Arabia, UAE and Egypt. These countries were left with the “free global Android Market” which includes most free Android apps (but no first party Google apps such as Gmail, Google Maps). 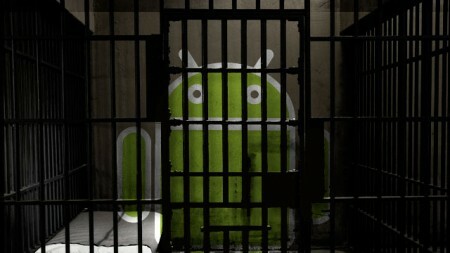 Staring today many popular free Android apps were no longer available. Apps such as Adobe Flash, Adobe Air, the Angry Birds franchise, WhatsApp messenger, Fancy Widgets, Waze, Pulse, Plume, AppBrain, Friday and many more cannot be found in the “global free Android Market”. The reason given was “This item cannot be installed in your device’s country”. â€¢ Use alternative app stores. Thanks Sohib. The number of countries with access to “global free Android Market” is very low and I doubt this issue will get any coverage. That’s one of the reasons for publishing this story here. Update 1: We got confirmation that the same is happening in Turkey as well. 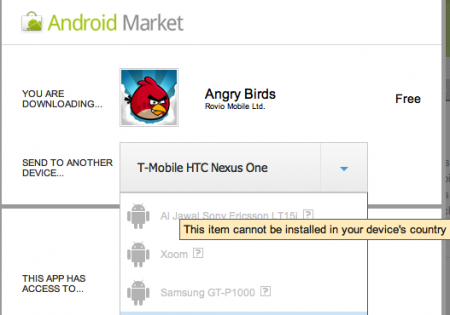 Update 2: Using a Jordanian SIM card will open the Jordanian Android Market. Thanks Amani. Android market doesn’t focus on Saudi – Blackberry App World same situation as of now – Now we are left with Ovi store or Appstore – How about Windows marketplace, does it have access for paid apps in Saudi?